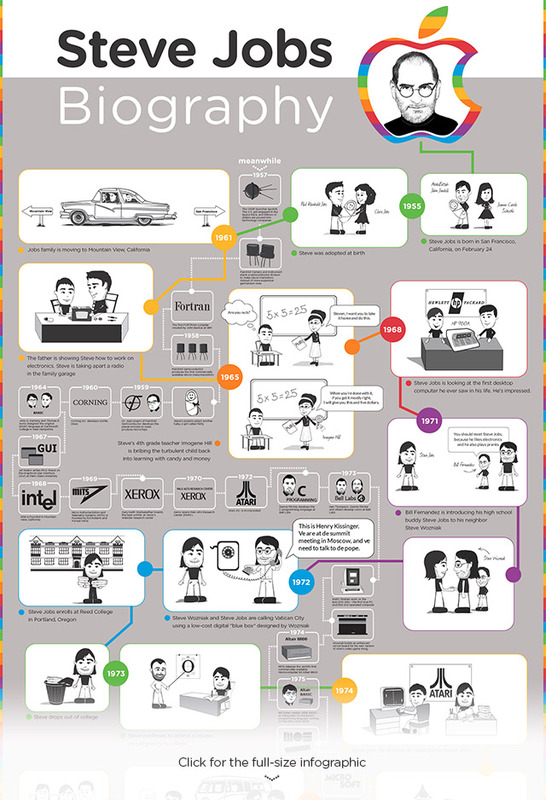 The team in the marketing department at Quartsoft have produced this lovely animated video timeline of Steve Jobs life. Click on this link to go to the Quartsoft page to read the rest of the teams tribute to Steves life. There is also a nice infographic version of the video that is worth a look.